Strategy | "Getting a quality website is an investment not an expense." This is what separates the successful websites from the unsuccessful websites. First we need to define what strategy is. Because many people have different ideas what this term means. :2.The art and science of planning and marshalling resources for their most efficient and effective use. The term is derived from the Greek word for generalship or leading an army. “Where to play” specifies the target market in terms of the customers and the needs to be served. 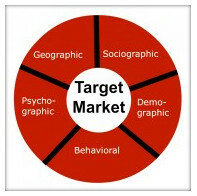 The best way to define a target market is highly situational. It can be defined in any number of ways, such as by where the target customers are (for example, in certain parts of the world or in particular parts of town), how they buy (perhaps through specific channels), who they are (their particular demographics and other innate characteristics), when they buy (for example, on particular occasions), what they buy (for instance, are they price buyers or service hounds? ), and for whom they buy (themselves, friends, family, their company, or their customers?). This last one is very well written. To have a good strategy we need to target our market. Determining who to target, is an important part of strategy. We can’t sell everything to everybody. We have to specialize and target. This is the most important part of strategy. On the Internet there are large numbers of competitors. We need to separate ourselves from them with a strategy that targets a specific group of people. Preferably a group that other people are not targeting. We need to have a unique differentiation. We need to be different from the rest. So often people contact me about an e-commerce site. How can I make it get lots of Google traffic. When I look at the website, it’s often similar to many others already in the market place. It’s impossible with that type of website. We need a strategy to target a specific subset of the market. It doesn’t mean that’s the only people were going to sell to. It means were building the website to that specific subset. Then within the website, We need to have unique content for that subset. Content that is not available anywhere else. We need to do research that no one else has done. Going back to the very first definition, “usually over a long period of time” . This needs to be a long-term plan. In order to decide which subset of the market to create the website for, we need to do more research. This is why so many people are dissatisfied with their Google results. They don’t want to do the homework. They don’t want to do the research or pay someone else to do the research. They’re looking for a quick and easy fix. There are no quick and easy fixes anymore. It’s all about work and strategy. Those who are willing to research, spend time thinking about the research, and developing a long-term plan and then executing that plan, will be rewarded by Google. The strategy is the most important part of this long-term plan. Choosing what specific subset (niche) and how to service that niche, is the key to success. Often in business and especially in the website industry, We see people start out strong. They have great ideas and energy. But then after a short time, six months or so, they slow down or stop. They run out of energy. This is the old story of the turtle and the hare. Malcolm Forbes once said, in America we produce many hares but not enough turtles. To create a good solid small business website can take 3 to 5 years. People don’t want hear that. Website owners don’t want to hear that. I can’t wait three years. I need to have results now. And so, 90% of the time they fail. The vast majority of small to medium size business websites fail, because they don’t have a long term strategy. Big business understands this. They rarely fail. Because they have a long-term strategy. Some people are upset that big business Is dominating the Internet. They say it’s because of their big brands. That’s somewhat true but more importantly, the big businesses have that long-term strategy. Sometimes it’s a radical strategy that takes five years to implement. When determining which subset of the market to target, advanced marketers will build what is called Personas. That’s just a fancy word for user profile. Creating four different user profiles or personas, Helps us to identify the needs and desires and wants of the target market. Once we have a good clear understanding of who this persona is, and often they name them with a first name, then we can apply a filter in our mind. Or as commonly referred to as looking through a lens. If we have a persona for Sharon Beil, and we develop the definitions of that, age, ethnicity, location, background, income and others, we have a filter to look through. We can then build content that Sharon Beil will like. Because we decided who Sharon Beil is, and we can produce pages that will help Sharon Beil. Sometimes, that means taking existing content from our website or others and reformatting it into a way that Sharon Beil will understand or be attracted to. Often the content is readily available, but not presented in a way that’s most appealing to Sharon Beil. An example would be college scholarships. Let’s say Sharon Beil, was a mother of a 16-year-old boy. She’s searching for college scholarships for this boy. So if we designed our content that would help her find possible scholarships for this boy, that would be very help full to her. We might need to organize the scholarships based upon his interests or talents or location or other factors. There’s a huge amount of information about college scholarships. But it’s not organized in this way. If we reorganize the information to help Sharon Beil, this is going to be very beneficial to her and people like her. She’s going to tell her friends. Google will notice. So by building our website for these personas, our strategy is, targeting a specific group of people, the four personas, building content that they will find very attractive. By using personas we get a more detailed idea of how the website should be built. We go from an abstract idea to a clearer definition of what we want. And what we don’t want. It makes it much easier to organize the content and create the content once we have identified who it is that we want to service. How do we decide which people to target. Which subset? He could be that we want the highest income, it could be that we want the ones with the most children, it could be that we want a certain culture or race. Or we could decide on other factors. We could say we only want people who have used college scholarships in the past, because they’re easier to deal with. They know what they want. The first thing we need to decide is what it is we want. Who is our ideal customer/client? If we could pick the perfect people we want to do business with in this market niche, who would that be? That’s our target. Then we develop the personas around that. We organize and develop the content around the personas. Some people at this point may be thinking, Wow that’s too much work. It’s a very competitive marketplace today, and it takes work and a strategy to compete in the marketplace. It’s only going to become more competitive. We have to be willing to invest the time and energy to develop websites for specific groups of people. It doesn’t mean that only those groups of people will use it. But it’s targeted to specific groups.